Employees from Metrobank Cebu- Fuente Osmena branch along with some volunteers and representatives of the Basilica Minore del Sto. Nino de Cebu spent the weekend at Kinatarcan Island last July 1, 2018. The team drew smiles to the faces of 200 children through giving them bundles of joy which includes educational supplies, hygiene kit, slippers, toys, and rosaries. A mass was celebrated at 9:00 in the morning at San Roque Chapel, Barangay Hagdan which was followed by a program. “Seeing them [the children] smile and laugh made our hearts even happier. Thank you, Lord, for making us an instrument of your love. 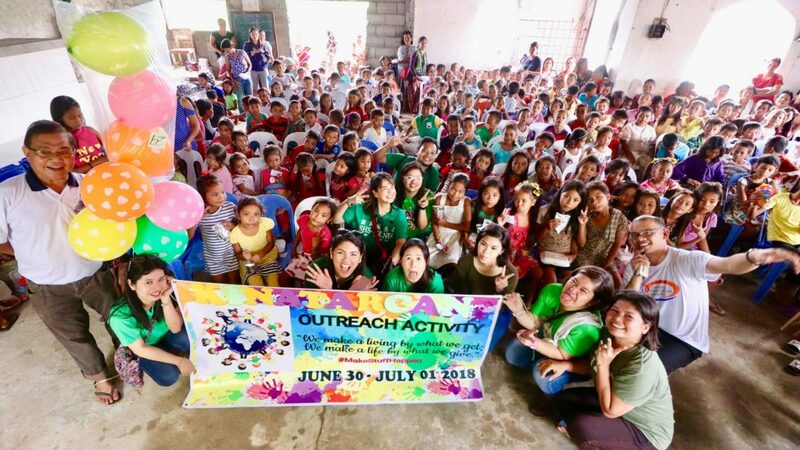 In behalf of all the sponsors and volunteers, thank you so much for all the prayers and support from the very start ‘til the end of the outreach activity.” a volunteer said as she recalled her experience. Young people from the island also expressed their gratitude to the group.